The location is great for those who come for Bocconi. The tram and supermarket are really close. The photos more or less are true to what you see. Has a conditioner so u’re fine whether u’re cold or hot. 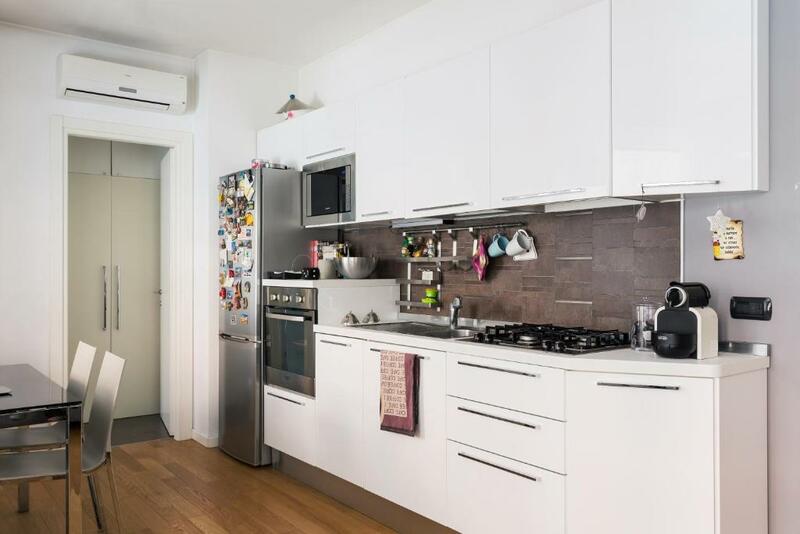 Nice to have a regular apartment to stay in near Bocconi - kitchen would be good if you like cooking, though I couldn't find a kettle to make tea. Air conditioning was excellent. La struttura è veramente bella, e nonostante ho prenotato 1 ora prima del mio arrivo, la struttura era pulitissima! Il ragazzo per il check-in era veramente una bravissima persona,gentile e simpatica. La prossima volta che salirò a Milano in futuro sicuramente soggiornerò di nuovo qui. L'appartamento è molto bello e in un'ottima posizione. Casa moderna, dotata di tantissimi confort. Ottima la pulizia, la comunicazione con l'host e la posizione. In 4 persone rapporto qualità/prezzo veramente ottimo. Assolutamente da consigliare. Чистая и ухоженная квартира. Находится рядом с метро Porto Romana и Bocconi. Если Вы едите в Bocconi, то это идеальное место. Рядом много кафе, ресторанов, магазинчиков. До Дуомо пешком можно добрать за 20 мину, на метро - 5 мин. Nice apartment. Clean. 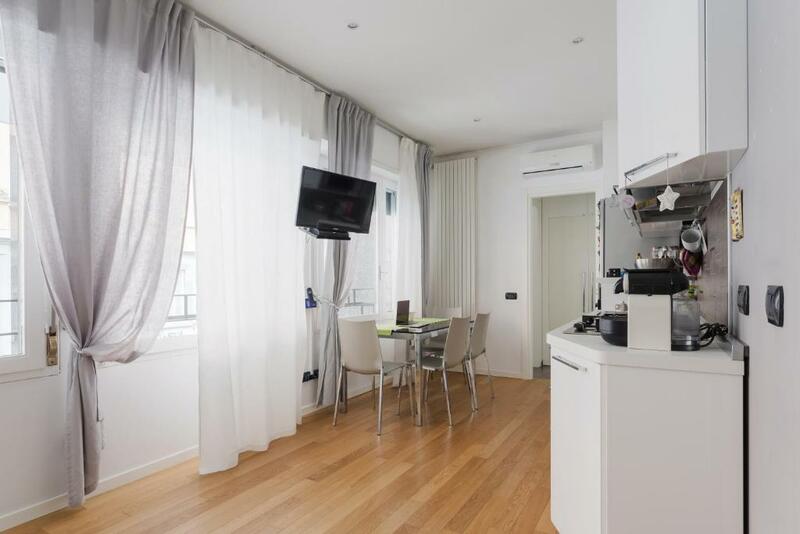 It is located near the metro station Porto Romana and Bocconi University. if you go to Bocconi, it is the ideal place to stay. Just 5 min and you are in Bocconi. Nearby there are a lot of cafes, restaurants, shops. To Duomo it will take around 20 min by foot or 5 min by metro. 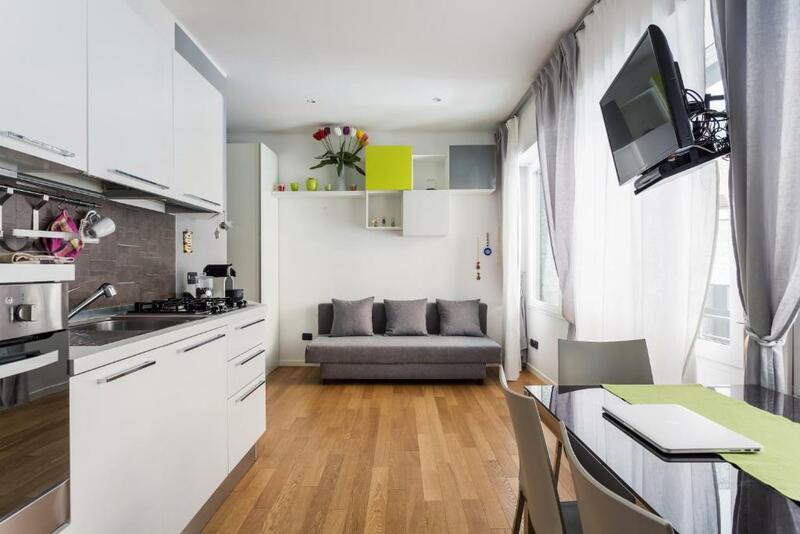 Lock in a great price for Claudia's Place - Experience the city – rated 8.8 by recent guests! 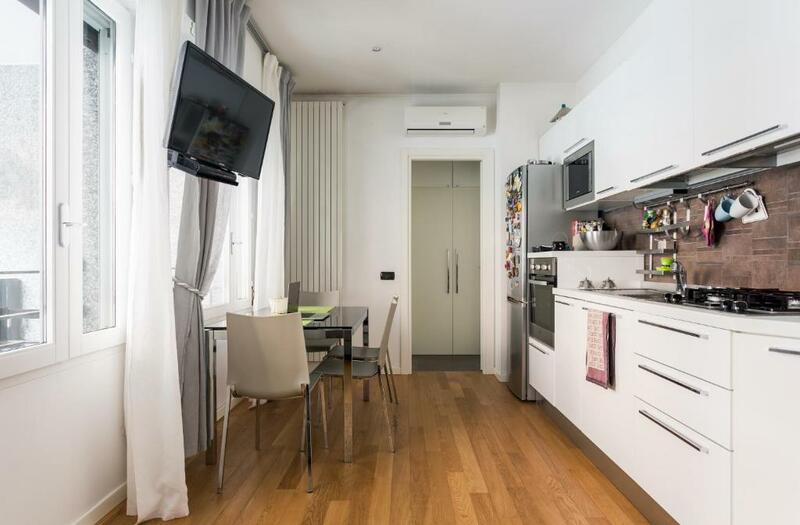 Claudia's Place - Experience the city is a property located in Milan, 1.2 miles from Darsena and 1.8 miles from Museo Del Novecento. This apartment is 2.3 miles from Palazzo Reale and 2.7 miles from La Scala. The apartment has 1 separate bedroom and includes a kitchen with a dishwasher and a dining area. Galleria Vittorio Emanuele is 2.8 miles from the apartment, while Duomo di Milano is 2.8 miles away. 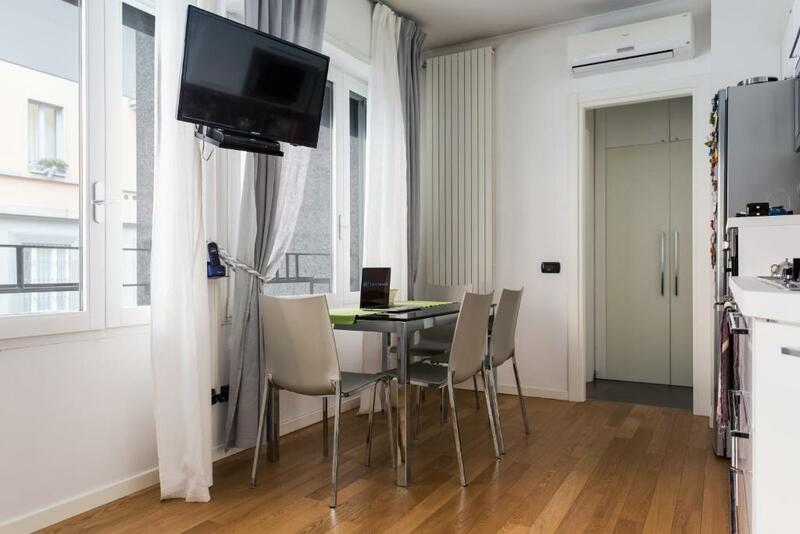 The nearest airport is Linate Airport, 5 miles from Claudia's Place - Experience the city. Porta Romana is a great choice for travelers interested in museums, convenient public transportation and restaurants. When would you like to stay at Claudia's Place - Experience the city? Area Info – This neighborhood is a great choice for travelers interested in museums, convenient public transportation and restaurants – Check location Excellent location – show map Guests loved walking around the neighborhood! House Rules Claudia's Place - Experience the city takes special requests – add in the next step! The place was not clean enough, though it’s not the main problem, it’s Italy after all. There was no soap, no bags for trash, no dishwasher detergent, not even toilet paper. I’m sorry but I believe that the cost should cover toilet paper at least. You have to buy all this stuff to be able to live there, so mind this when you book the place. It's a beautiful flat in the most convenient t location for me. Not too central but close to the city center still. Love this area! 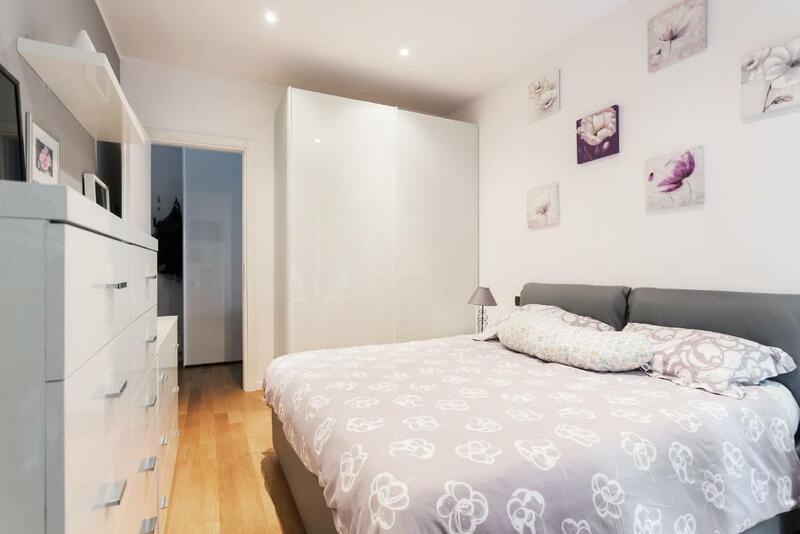 And also the flat is lovely and has all you need. The owner was nice and responsive. The host wanted to know a definite arrival time, which is difficult given the traffic around Milan - and wanted to know our departure time several days in advance, which is just unrealistic. A secure drop-box for keys would be useful. No detergent for the washing machine or the dishwasher , no shampoo , only coffee capsules with no sugar or milk.